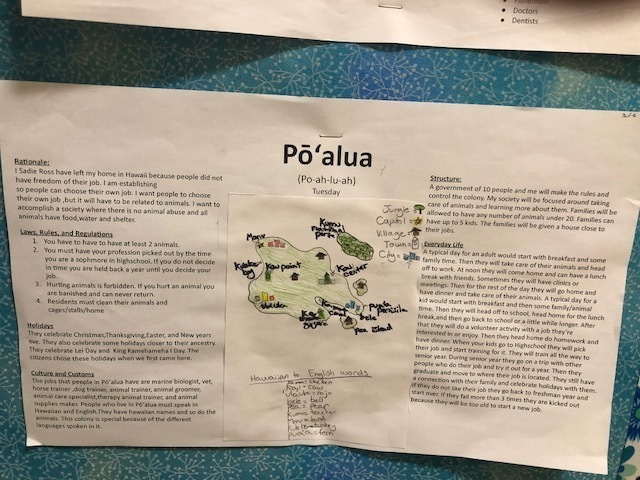 The sixth graders had the opportunity to create their own “perfect world”.They came up with how their society would be structured, what holidays they would celebrate, the laws and rules, and what everyday life would be like in their utopian society. Recently, the students met in book groups every other week to discuss a book they read independently. 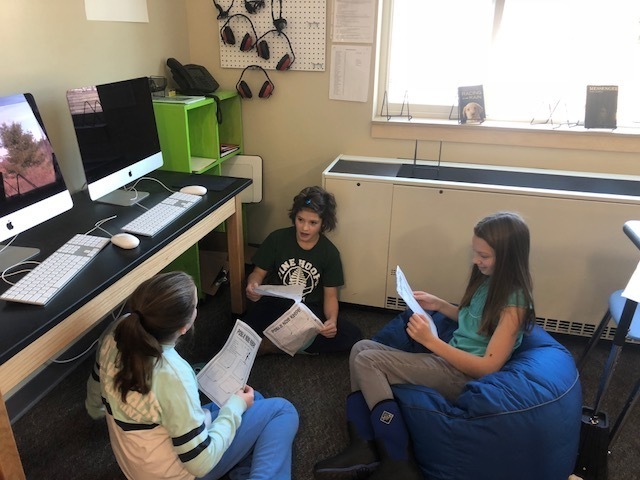 Each group member wrote down things they wanted to discuss with their group and they had a “job” to prepare for in those small group discussions. 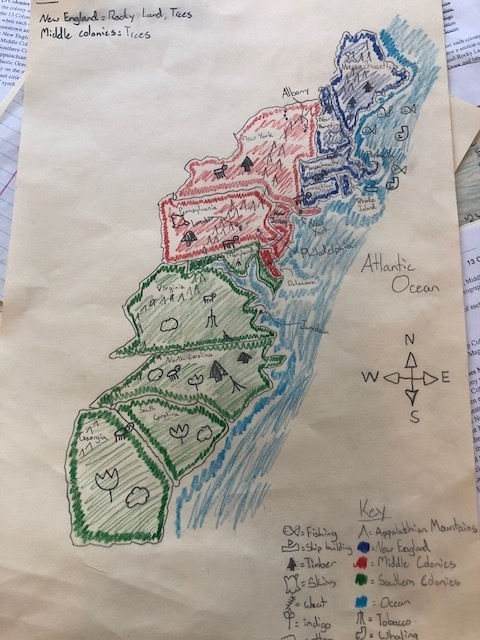 In social studies, they are mapping out the 13 colonies, learning which colonies were in what region, finding out what product(s) each colony was known for, and what the physical aspects of the land are.